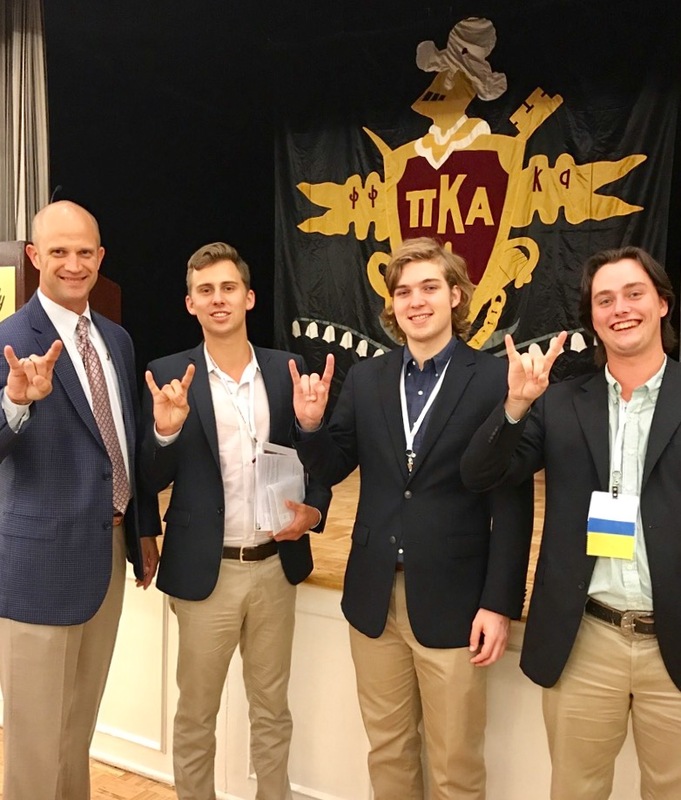 Pike International CEO Justin Buck greeted the Beta Mu delegation of Zack Wagner, Angus Brooks and Matthew Stewart at The Academy. Bi-annually the International Pike Fraternity hosts “The Academy” in Memphis as part of its Pike University leadership training for undergraduates. 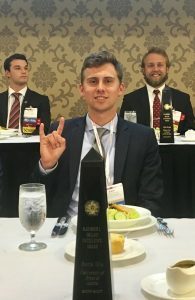 The Beta Mu Chapter delegation attending the July 2017 academy included SMC Zack Wagner ’14, Angus Brooks ’16 and Matt Stewart ’17, joining more than 500 other undergraduates Pikes from around the U.S. and Canada. Beta Mu earned a number of awards and recognition at Pike’s The Academy 2017 in Memphis. 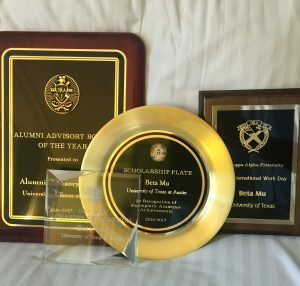 Beta Mu received numerous recognition awards at the conference including — for the fourth successive year — the Raymond L. Orians Excellence Award, granted to the top 20 percent of chapters for excellent overall operations. The chapter also received the Scholarship Award recognizing overall GPA of 3.2 for the 8th successive year, as well as the Recruitment Level 2 Award. Our alumni advisory board was named, for the fourth successive year, Alumni Board of the Year, granted to fewer than eight percent of chapters. SMC Zack Wagner at the recognition luncheon accepting Beta Mu’s Orians Excellence Award. In July 2018 Pi K A hosts its 150th Anniversary Convention in Richmond, VA, near the fraternity’s founding at the University of Virginia.